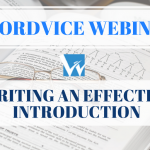 While the Common App provides highly broad topics for its required 650-word essay, it’s possible that you have a story you want to narrate that doesn’t fit within those categories. Fortunately, the Common App is reintroducing the “topic of choice” category for the 2017-2018 admissions season. 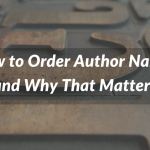 You can write about whatever you want, as long as the paper is a personal statement. Why? Simply put, admissions officers expect your essay to teach them about who you are. 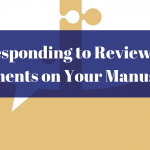 They are not looking to assess your writing from an academic perspective; your teachers’ recommendations, grades, and test scores already reflect that. Likewise submitting a highly creative work as your common app essay would be inappropriate. Save these types of documents for the supplemental information section of your college application. 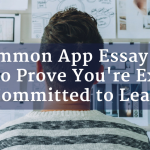 So, what should you include in an essay responding to the Common App essay prompt #7? You can write about anything as long as it shows who you are. 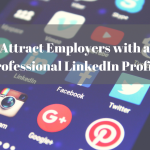 Although your topic probably already fits under options 1-6, we provide a few guidelines below about how to tackle prompt #7. For additional resources regarding other Common App essay prompts and the college admissions process, feel free to visit our Resources Page and our College Admissions Editing Page. “Share an essay on any topic of your choice. 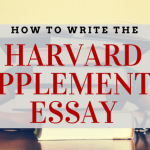 It can be one you’ve already written, one that responds to a different prompt, or one of your own design.” While it sounds great to choose whatever topic you want, remember that the admissions essay is a personal statement. 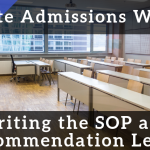 This essay is your chance to introduce yourself to the admissions committee and show them who you are as an individual, apart from grades and test scores. Be careful of recycling old essays from school if they’re purely academic. 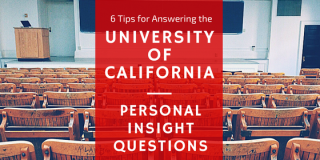 You will most likely need to edit the document to include elements that demonstrate personal growth and intellectual curiosity.Topics you might include hypothetical situations, such as (1) if you could speak with someone from the past, who would it be and why and (2) if you could write your future college roommate, what would you say to introduce yourself. 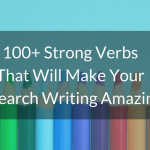 Alternatively, you could explore your favorite book or a person you admire, or you could get inspiration from supplemental essay topics asked by other schools. For example, Dartmouth has used “’It’s not easy being green’ was a frequent lament of Kermit the Frog. 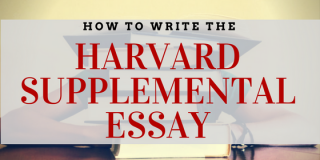 Discuss.” Obviously, if you are applying to a school that asks for a supplemental essay, make sure that your main Common App essay topic doesn’t overlap with the supplemental one! 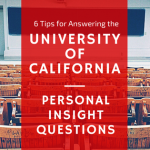 Since you’re writing a personal statement, provide information about why the topic you chose is significant to you and instrumental in your quest to become a well-rounded and independent critical thinker. Make sure to focus on how you benefit from your topic choice. That is, how has this subject matter influenced your personal development and decision-making process. 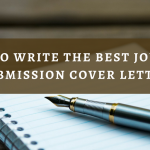 Your application essay should serve as the admissions officers’ cheat sheet on who you are and whether you’d be a fit for their community, culturally, socially and academically. 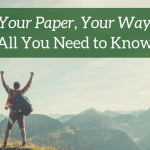 While grades and test scores do the heavy-lifting in proving the latter point, your emotional and social assets would be better reflected through your essay. Choose your topic wisely. Show that you are a diversified thinker who can thrive in a multicultural environment. Convince the admissions officers that you would be an active, contributing member at their school. Remember that this is YOUR story. Each sentence should reinforce the idea that you are emotionally, socially, and intellectually mature and ready to tackle the new experiences you will encounter in college!